The one thing I did NOT like in Turbulence Training is that even though Craig claims you can do the entire workout routine without stepping out of your house, you DO need a few equipments if you want to stick with privacy. This is just the gist of what you will find in the Turbulence Training package. I will also give you a review on the Turbulence Training Deluxe package which has some incredible stuff which I will tell you next time. I recommend Turbulence Training to anyone who wants to follow one of the most effective ways to lose fat and build lean muscle (Not like the bodybuilders) in the least amount of time you could imagine. Although! If you have any health issues like bad back, you SHOULD consult a physician before you start Turbulence Training. In the Turbulence Training Deluxe Edition, you get the 6 Month Bodyweight Manual, the TT Advance Bodyweight workout, Bodyweight 500 and the 8 Week Athlete Workout. 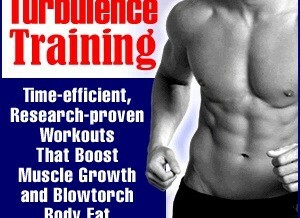 …Well, there are many workouts that come along with the basic Turbulence Training package as well. The point is that you have to vary your workouts every 4 weeks if you want to keep your body confused so it can keep burning more and more fat every single day. The specialty of the 6 month bodyweight training program is that you can get the same results as the Turbulence Training Original workout but you will not be using free weights or barbell. 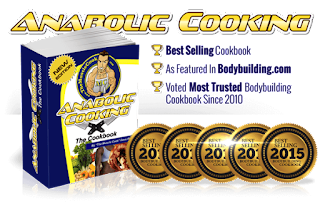 In this manual, you will follow very intensive bodyweight workout routines that goes for 6 months that will make you drop on the floor crying to stop. I am exaggerating but the workouts are much more intense. Who would have though your own bodyweight could be harder than lifting free weights? I would rather do 25 bicep curls with dumbbells than 40 pushups. The workouts literally make you sweat in less than 10 minutes. You could even do one circuit and still lose fat because these workouts are THAT intense.